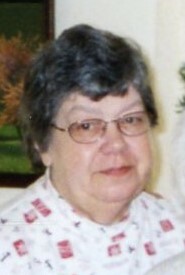 Wanda Walker, age 76 passed away on March 31, 2019 at the John F Keever Solace Center in Asheville North Carolina. Wanda was born in McDowell County on October 27, 1942 to the late Joseph Sr. and Pauline Wall. She retired as a pharmacy technician at Wal-Mart in Marion. She was a feisty but sweet woman. Wanda enjoyed reading in her leisure time. Wanda was also preceded in death by her son Jimmie R. Walker Jr. and her brother Dan Wall. She is survived by her cousins Kevin Lindsey and his wife Rebecca and Gary Harris of Marion; a nephew Matt Wall of Asheville and numerous cousins. No services are planned at this time.